Targeting candidates based on bias and hate toward various ethnic, racial or religious identity is not new. And Shah is no stranger to it as a candidate. She recounted multiple incidents to me over the phone. 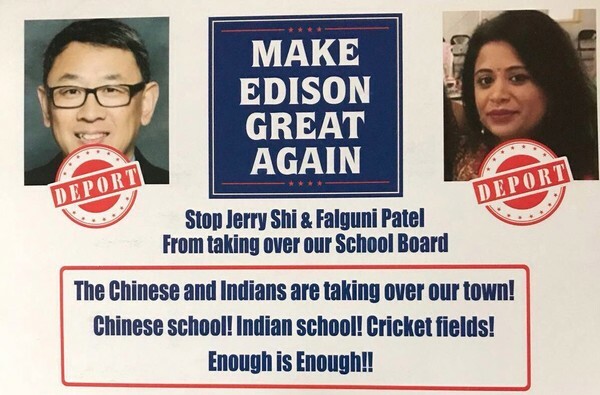 Shah, a long-time resident in the Edison township of Middlesex County, New Jersey, was told to go back to her country when she ran for local elected office. She once found her campaign signs inscribed with the words “dot head,” an offensive racial slur. As a town council member, Shah endured insults from residents who shouted her down at the end of a public meeting for voting to include Diwali, the Hindu festival of lights, as a school holiday. When individuals are targets of hate, it not only affects them but also entire communities. Following the devastating defeat of Democratic nominee Hillary Rodham Clinton by Republican nominee — and now President-elect — Donald Trump, national media outlets are now racing to figure out where it all went wrong. Some pundits have used national exit polling data to place the blame on voters of colour, noting that Black, Latino, and Asian voters supported Clinton at slightly lower margins than they voted to re-elected Barack Obama in 2012. Trump’s victory, they argue, is the fault of non-White voters whom they essentially blame for not acquiescing to their own electoral capture. There are a couple of obvious issues with that damning narrative. One is, of course, that national exit polling data are wrong about Clinton’s support among AAPI voters. On Tuesday, America will mark yet another Election Day. For Asian Americans and Pacific Islanders (AAPI), this coming election seems particularly relevant. 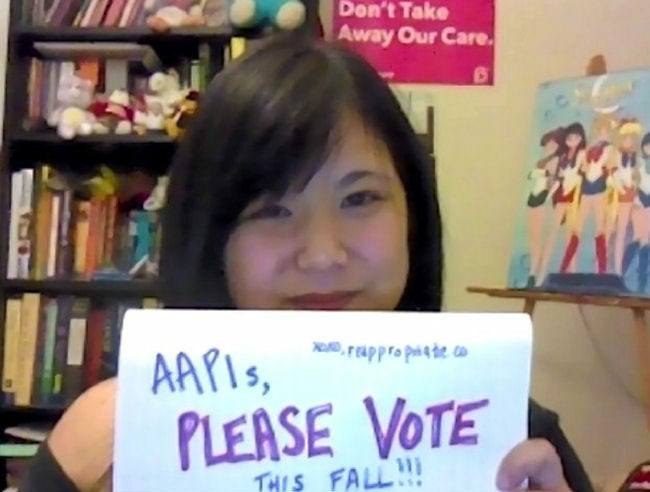 The AAPI electorate is among the fastest growing voter population in the country. In the last two presidential general elections, AAPI voters voted overwhelmingly in favour of Barack Obama. In several states during the 2012 election, AAPI voters voted for the incumbent president in large enough numbers to have likely swung their states into his column. With Election Day fast approaching, many of us have been reminded of the power of our vote. We have been the target of exhortations to turn out to the ballot box on November 8th. It has been widely speculated that AAPI voters and other voters of colour – who collectively support Democratic nominee former Secretary of State Hillary Clinton by three-to-one margins – are likely to win the first female president of the United States her place in the Oval Office. It seems obvious that greater electoral numbers for AAPIs should yield concomitant greater political power for our community. America is a representative democracy, wherein constituents are promised a seat at the table by a simple sociopolitical contract: our votes are offered to politicians as a quid pro quo promise of beneficial policy changes. More votes might therefore be assumed to invite better policies. Indeed, some AAPI groups – most notably 80-20 — deploy such thinking as rationale for their mission to create a national AAPI voting bloc comprising 80% or more of all voting Asian Americans and Pacific Islanders; the group’s leaders seek to leverage that bloc for or against specific candidates. But what if this thinking is flawed; or, at least, incomplete? What if sheer voting numbers do not alone guarantee greater political power for voters on the fringes of American politics? How do AAPI voters, and other voters of colour, build political power when we must cast our votes in a system structurally resistant to prioritizing issues of race and racism? In one month, the votes will be tallied to decide the next president of the United States. Some Americans have already voted. Many others will cast their ballot on Election Day on November 8th. 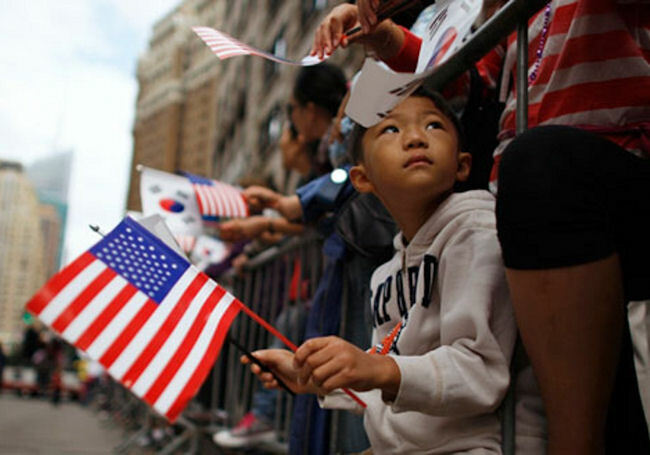 Asian Americans and Pacific Islanders are the fastest growing population in the United States. Yet, the AAPI community has among the lowest voter turnout across any racial group, as well as among the lowest voter registration rates. 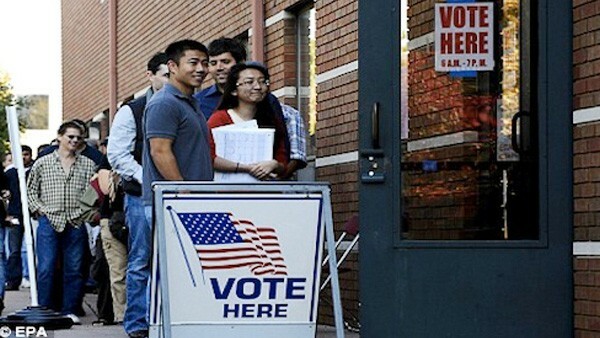 In the 2012 general election, the Census estimated that only 47.3% of registered Asian voters actually cast a ballot, while Pew reports a similar trend of low Asian voter turnout for midterm elections. It is crucial for our community to reverse this trend, particularly as 2016’s Election Day draws near. It is incumbent upon AAPIs to cast our ballots. 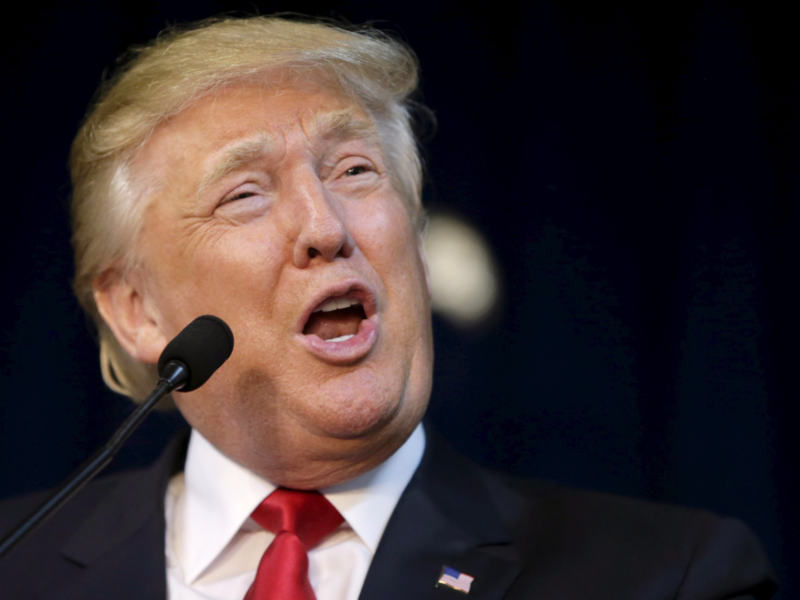 GOP presidential nominee, Donald Trump. Earlier this month, Donald Trump spoke to a rally in Portland, Maine where he repeated one of his most infamous platform positions: that, as president, he would restrict immigration from so-called “terrorist nations” which he has previously said would include Afghanistan, Iraq and Syria. On August 6, however, Trump offered an expanded list of “terrorist nations” he would blacklist with regard to new immigrants, adding Morocco, Somalia, Yemen, Uzbekistan, Pakistan and the Philippines. While providing this expanded list, Trump reportedly said that refugees from all “terrorist nations” should be banned from entry into the United States. “We’re dealing with animals,” he said of immigrants from these countries, including Filipino and Pakistani immigrants. Later on the Charlie Rose show, Trump was asked if he would include nations like Belgium or France in his list of “terrorist nations,” given the recent spate of high-profile terrorist attacks; Trump declined to comment.